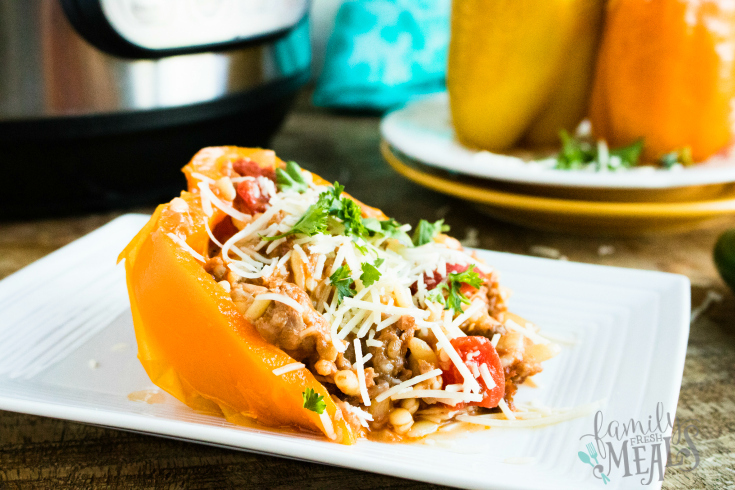 A tasty twist on stuffed peppers. 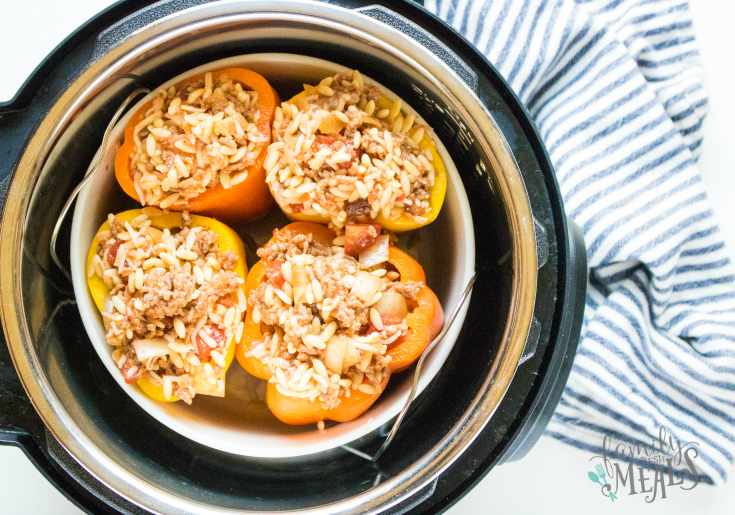 One of my best ever kitchen discoveries was that you can bake Stuffed Peppers in the Crockpot. 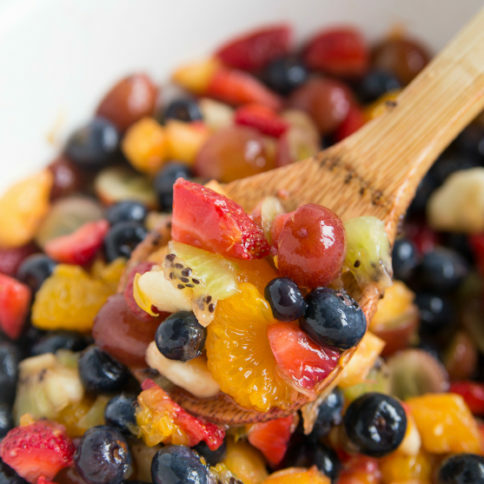 Suddenly, this healthy dish went from a long, complex recipe to one that takes just a few steps to make. But of course, it still had the same catch as all Crockpot meals: it takes hours to cook. 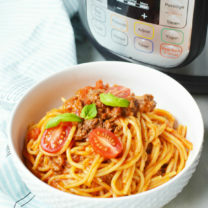 So lately I started thinking, why not try it in the Instant Pot? Since I was tinkering with the recipe already, I decided to shake up the ingredients a bit. 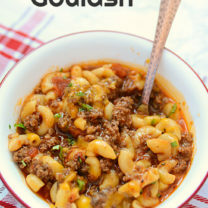 I swapped out the ground beef for hot Italian sausage, the rice for orzo pasta, and the cheddar cheese for mozzarella, which gives the whole dish an Italian flair. 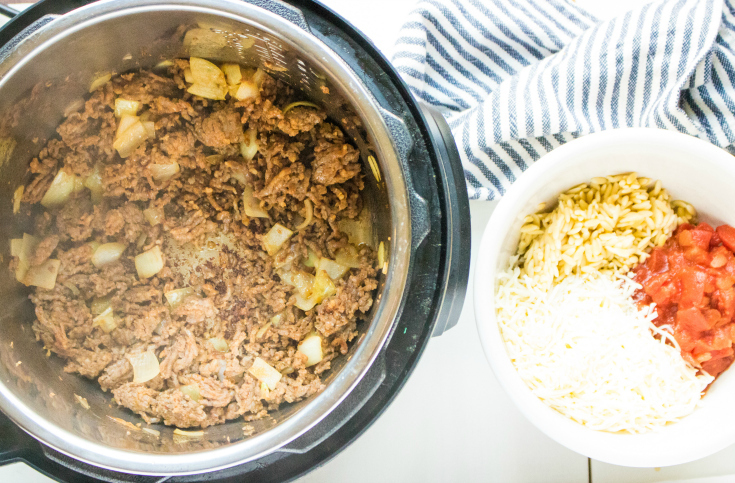 Then it was just a matter of tweaking the steps to work in the Instant Pot. Since I wouldn’t be cooking it all day like I did in the Crockpot, I browned the sausage and onion first on the sauté setting before mixing up the filling. And instead of putting the loaded peppers straight into the pot, I put them in a casserole dish surrounded by water, so they could steam to perfect tenderness in just ten minutes. 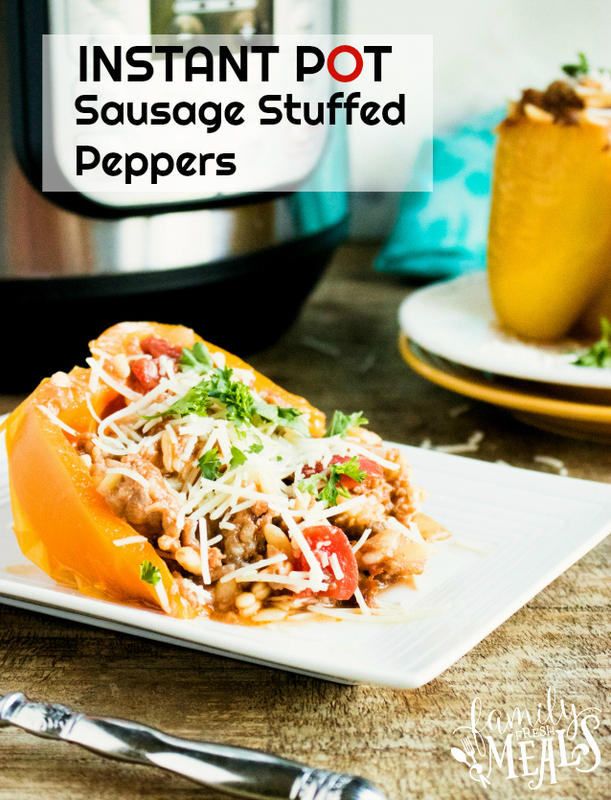 From start to finish, these Instant Pot Orzo Sausage Stuffed Peppers only take about 30 minutes to prepare. 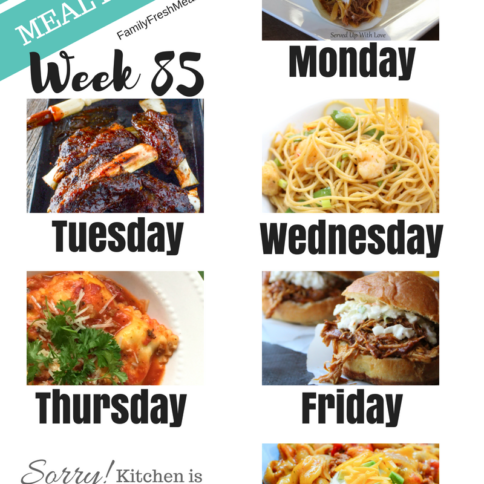 So from now on, this healthy, tasty meal is always just half an hour away. 1. Set the Instant Pot to saute mode. Brown your Italian Sausage, chopped onions and minced garlic. While cooking, season with salt and pepper to taste. Once cooked through, remove from pot and mix together with the orzo pasta, tomatoes and mozzarella cheese. 2. Remove the tops from the peppers and remove the seeds from the peppers. 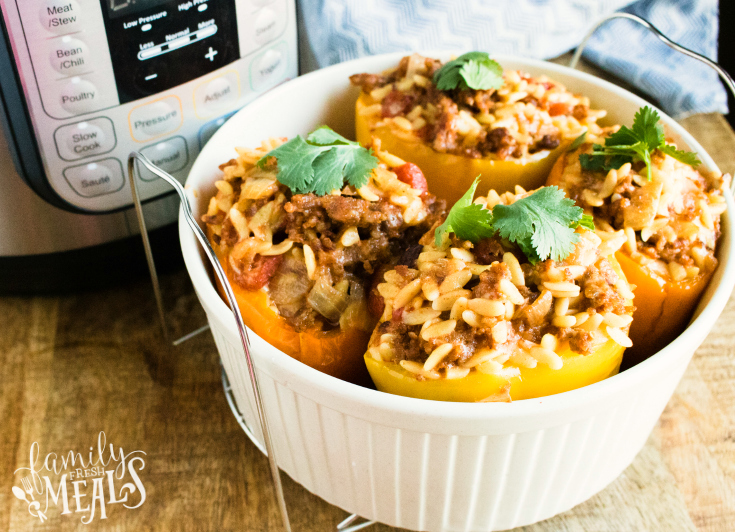 Stuff peppers with the orzo mix. Place peppers inside a casserole dish that fits inside of your IP. If you do not have one, you can place the 3. peppers on the trivet. Add 2 cups of broth to the instant pot. 3. Place the casserole dish on top of the trivet and put inside your Instant Pot. Again, if you do not have a dish that fits in the IP, you can place the peppers directly on the trivet. Close the lid on the pressure cooker and turn the valve to sealing. Set a manual high-pressure time for 10 minutes. Once time is up, do a natural release for 4 minutes and then finish with a quick release. 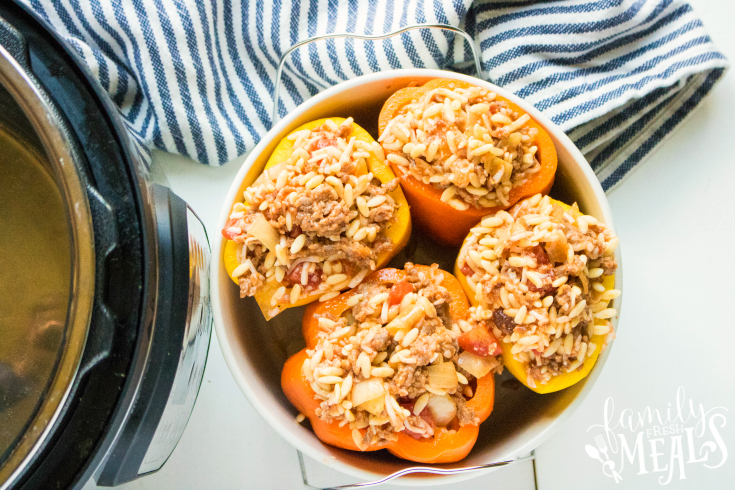 From start to finish, these Instant Pot Orzo Sausage Stuffed Peppers only take 30 minutes to prepare. 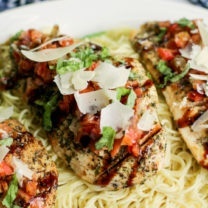 So from now on, this healthy, tasty meal minutes away! Set the Instant Pot to saute mode. Brown your Italian Sausage, chopped onions and minced garlic. While cooking, season with salt and pepper to taste. Once cooked through, remove from pot and mix together with the orzo pasta, tomatoes and mozzarella cheese. Remove the tops from the peppers and remove the seeds from the peppers. 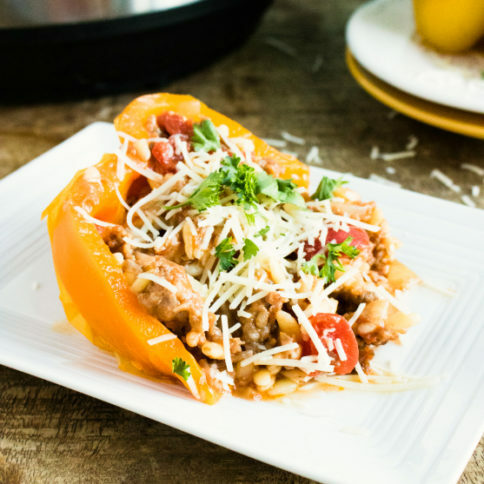 Stuff peppers with the orzo mix. Place peppers inside a casserole dish that fits inside of your IP. If you do not have one, you can place the 3. peppers on the trivet. Add 2 cups of broth to the instant pot. Place the casserole dish on top of the trivet and put inside your Instant Pot. Again, if you do not have a dish that fits in the IP, you can place the peppers directly on the trivet. Sounds like a delicious dish. Can this be cooked in a crock pot? If so, what would be the directions?